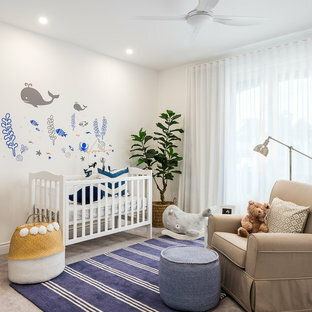 Inspiration for a beach style gender-neutral nursery in Gold Coast - Tweed with white walls and carpet. 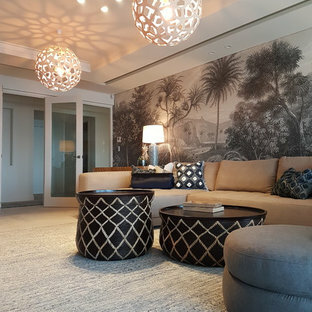 Design ideas for a beach style enclosed family room in Perth with beige floor. The brief for this project involved completely re configuring the space inside this industrial warehouse style apartment in Chiswick to form a one bedroomed/ two bathroomed space with an office mezzanine level. 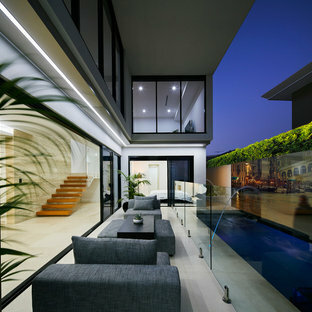 The client wanted a look that had a clean lined contemporary feel, but with warmth, texture and industrial styling. 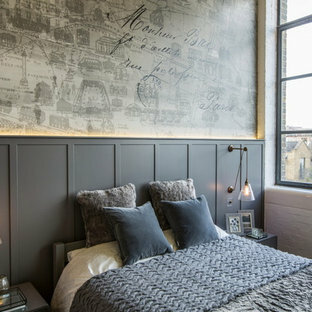 The space features a colour palette of dark grey, white and neutral tones with a bespoke kitchen designed by us, and also a bespoke mural on the master bedroom wall. This is an example of an eclectic living room in Hyderabad with medium hardwood floors. 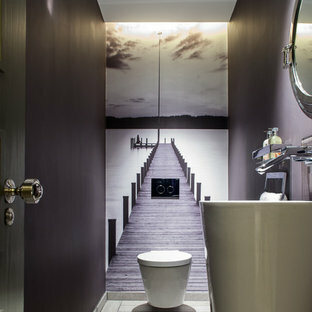 Photo of a mid-sized contemporary powder room in London with a pedestal sink, a wall-mount toilet and purple walls. This is an example of a mid-sized contemporary gender-neutral teen room in Chicago with carpet, white walls and grey floor. 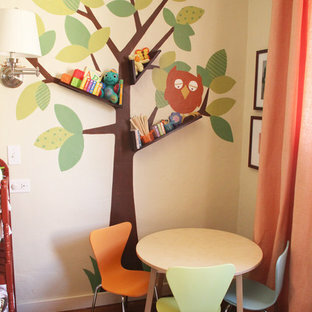 Design ideas for a contemporary kids' room in San Diego. Inspiration for a contemporary bedroom in Calgary with white walls and medium hardwood floors. Photo of a mid-sized transitional nursery for girls in Orange County with pink walls. Inspiration for a large contemporary kids' room for kids 4-10 years old and boys in Moscow with green walls and medium hardwood floors. 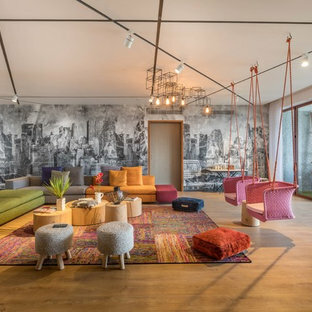 Contemporary kids' room in San Francisco with grey walls and medium hardwood floors for kids 4-10 years old and boys. Inspiration for a small transitional gender-neutral nursery in Ottawa with multi-coloured walls. Open concept master suite with Mahogany pocket doors & screen, Brazilian teak floor, Hand painted wall mural by local artist Deb Thompson, Grass cloth + wood beam ceilings, and His & hers walk in closets with built in organizers and dresser . Design ideas for a transitional bedroom in London with purple walls and no fireplace. Inspiration for a contemporary powder room in Other with a vessel sink and blue walls. A basement theater room. Featuring walls painted to look like theater curtains and a wall mural along the back represent multiple broadway shows. Large transitional enclosed home theatre in Salt Lake City with multi-coloured walls, carpet and a projector screen. 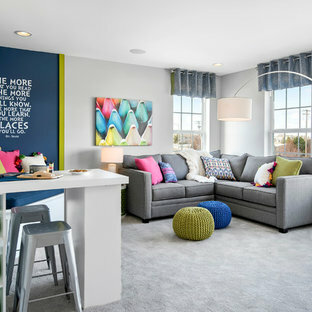 Photo of a mid-sized traditional kids' room for kids 4-10 years old and girls in Minneapolis with multi-coloured walls.